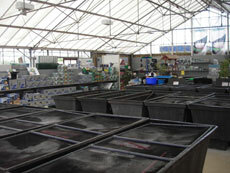 From Easter through September we keep a large selection of Pond fish. Goldfish, Koi, Shubunkins, Orfe, Tench, Rudd and Sturgeon. 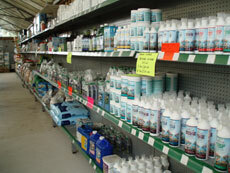 Everything you need to keep healthy ponds, including Pumps, filters, UV Clarifiers, Water Conditioners and Treatments. Pumps and Filters from Evolution Aqua (Nexus), Cloverleaf, Oase, Hozelock, Project and Pond One. Water Conditioners and Treatments from Evolution Aqua, New Technology, Blagdon and Pond Care. 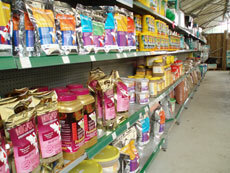 A large selection of foods including Hikari, Nishikoi, Sera, Nigata, New Technology and our own brand.